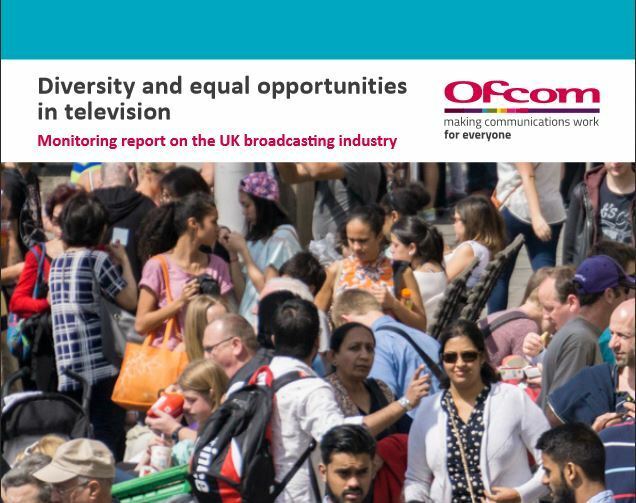 On 14 September 2017, Ofcom has issued the first in a series of annual publications measuring the Diversity and equal opportunities in television, which uncovers the scale and nature of the diversity challenge facing the TV industry, with a focus on the main five British broadcasters – the BBC, Channel 4, ITV, Sky and Viacom. Its main conclusion is that broadcasters need to widen the range of their talent working on and off screen. Women are under-represented: they account for 48% of employees across the five main broadcasters, versus 51% of the wider UK population. Women are even less well represented at senior levels: all of the main five broadcasters have more men in senior roles than women. Ethnic minority employees are also under-represented: they make up 12% of employees across the five main broadcasters, lower than the UK population average of 14%. Disabled people appear to be significantly under-represented: just 3% of employees across the five main broadcasters self-report as disabled, compared to 18% of the UK population. Another noteworthy conclusion is that as the UK’s largest broadcaster, the BBC’s position on diversity is likely to have a disproportionate effect on the wider industry. The BBC is supposed to be leading the way. Unfortunately, this is not yet the case, as the report shows that it is second to Channel 4 in terms of representation of employees across most characteristics (except for the senior gender management where the BBC employees 39% of women against the 36% employed by the Channel 4). Broadcasters should regularly measure and monitor the make-up of their workforce to a consistently high standard, capturing every relevant protected characteristic under the Equality Act, and all main job levels and functions. Broadcasters should set clear diversity targets so their employees more accurately reflect the society. Diversity transformation should be led from the top, e.g. Chief executives should be accountable for delivery against their diversity targets. Ofcom has also announced a range of measures with which the regulator intends to supplement industry action on diversity, such as further developing its monitoring programme; holding broadcasters to account on equal opportunities obligations; better diversity guidance; enforcement action against broadcasters who failed to provide required data; seeking additional powers and publishing diversity data on the radio industry.